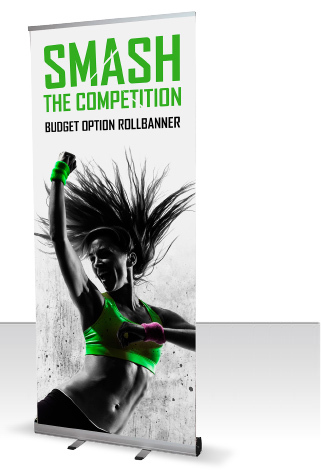 Our rollbanners are a popular choice for those needing a lightweight and very portable display solution. All of our mechanisms are fabricated in aluminium to a specification that is better than most available anywhere online – that includes our budget option banner stands. Talk to us today about the right unit for you! All prices exclusive of VAT, carriage and any artwork charges if required. • Simple assembly Roller Banner unit constructed from lightweight aluminium, just roll out the graphic panel and attach to pole in seconds.